For all those that are searching for the places of the past of themselves or their relatives, we can organize custom programs to the places of the past. 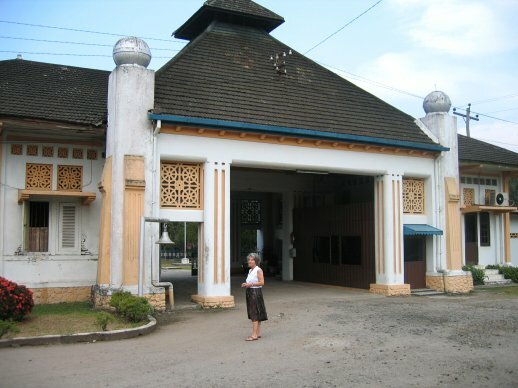 Numerous people have, in one way or another, a connection with Indonesia. Many of them, their parents or grandparents were born in Indonesia or have lived or worked there. For all those that are searching for the places of the past of themselves or their relatives, we can organize custom programs to the places of the past. We have had guests who were writing a book about their grandfather who founded a leper colony on Sumatra. Other grandfathers were civil servants, planters or soldiers. They worked for trade firms, railways or plantations. Did you know that Shell has found its first oil on Sumatra? People are searching for the places of their youth or those of their relatives, for old plantations, schools they personally went to as a child, houses that they have lived in or – in the case of the Japanese citizen internment – to camps where they have been imprisoned. We have guests who are searching for the Pekan Baru railroad – unknown to many, as opposed to the Burma railway – and almost forgotten. All over Indonesia, the Japanese ruler established camps, but who still knows the locations of Pulau Berayan, Glugur, the Brastagi-camp, Aek Pamienke, Bangkinang, and Sirengo-rengo? Who knows about the Junyo Maru, the Atjeh party and ‘Het Pannetje van Oliemans’? Trijaya Tours and Travel can help you to set up a program for your tour to your personal past or the past of your relatives.